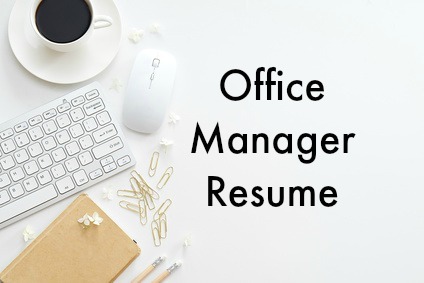 Office manager interview questions that explore the competencies, skills and experience required for successful job performance in the majority of office management positions. Expect to face interview questions that determine your understanding and experience of the office manager role, questions that determine your skills as they relate directly to the job opportunity and behavioral interview questions that assess the competencies needed in the role. Use the excellent sample interview answers as a guide to developing your own winning responses. 1. Describe a typical day in your previous job. This question is trying to determine your general experience of this type of position. In your interview answer focus on the tasks and responsibilities that are most critical to the job opportunity. Carefully review the job description in the job posting to highlight the essential task requirements. Describe your day in terms of these requirements. This will ensure your interview answer is focused and relevant. 2. What is your understanding of the office manager role? Use this answer as a guide to develop your own office manager interview answer. "Typically the office manager is responsible for ensuring the efficient functioning of office operations which includes planning and organizing work demands, efficient resource management, supporting and monitoring staff performance, coordinating data requirements, implementing and overseeing best practices and providing executive support to ensure the achievement of organizational objectives"
3. What qualities do you bring to this opportunity? This is an example of how to answer office manager interview questions about why you should be hired. "My key areas of strength as they relate to this position include wide experience in all areas of office operations, exceptional planning and organizational skills, strong problem-solving, and decision-making skills, outstanding communication skills and a passion for excellent customer service. I take ownership of tasks and responsibilities and ensure deadlines are met in a fast-paced work environment. My track record demonstrates my ability to successfully manage multiple assignments with accuracy and efficiency while fostering a strong ethos of teamwork"
In your interview answer focus on the key management skills the employer is looking for in this job. 4. What do you consider your weaknesses as an office manager? The employer is exploring your self-insight and self-awareness with this interview question. Go through this list of workplace weaknesses and determine which apply to you. Describe your weaknesses and discuss the steps you are taking to improve on it. 5. Describe your style of management and how you create the right team environment. Answers to office manager interview questions about how you manage people should focus on your ability to adapt your management style to different employees and situations. "I have learned that it is most effective to select my management style according to the individual and the specific situation." "With more inexperienced employees I provide a higher level of task direction and closer support and supervision so the employee feels secure in what they must achieve. With more experienced employees I delegate the task, ensure they have the right resources to complete it, and tell them to ask for help if they need it. If an experienced employee is given a new task then I consult with her on how to go about completing it and provide any support that is required before handing over the responsibility to her." 6. Tell me about a recent situation where you had to manage conflict between your staff? Find sample interview answers to office manager interview questions about handling conflict. 7. Give me an example of a challenging problem you recently had to resolve. Focus on your ability to identify a problem and analyze it to find possible solutions. This involves getting the necessary information and using it effectively to resolve the problem. Define the outcome of your solution and how it benefited the organization. You can find a good sample answer to this question here. 8. Tell me when you had to use your judgment to make a difficult decision in your job. Judgement is the ability to look at all the relevant information and consider the best alternatives. Once you have come up with the right alternative it is key to commit to it and take action. "I had delegated an important task to a senior employee who was confident that he would complete it by a tight deadline. I noticed that he was spending time on other work and I was concerned about meeting the deadline. I consulted with him and asked for a progress update. He told me he had completed the majority of the assignment and would show me his work the next day. I felt that this was not accurate feedback and asked him to provide me with what he had done to date. He said I should trust him to get it done. I had to make a judgment call and I insisted on seeing actual evidence of the task. He became defensive and I decided to take the project over immediately, suggesting we work on it together. He felt I didn't given him the credibility I should have but it was a key assignment and we had to meet the deadline. Organizational objectives were more important in this instance than his feelings and the project was completed as required"
9. Tell me about a short term plan you developed for your department. 10. How do you maintain the confidentiality of information? Office managers will be expected to manage confidential information and promote ethical standards in their departments. Go through the steps you take to ensure confidential information is protected. Discuss how you monitor adherence to ethical norms. Find out more about answering office manager behavioral interview questions. What questions should I ask the interviewer?